Tomorrow, August 29th, marks 10 years since Hurricane Katrina ripped through New Orleans, and Americans viewed the wholesale destruction of a major US city by water and wind. Katrina presented a worrying picture of what may befall other coastal cities around the globe as water levels rise and the world faces a much more challenging, changing climate. Ten years later, lessons from the disaster are more relevant than ever. Politicians, policy makers, and military strategists have in some respects forgotten Hurricane Katrina in the last decade. After all, a lot has happened since then, including a global financial crisis and a wave of instability across the Arab world. However, lessons from Katrina still lurk in the back of our minds. Most audiences recall the much-maligned emergency responses on the local, state and federal levels. Post-Katrina discussions revolved around absence of leadership, poorly constructed levees, and a regional infrastructure and political culture that was not resilient. The death toll and financial costs of Katrina have not yet been surpassed in the United States. However, in light of sea level rise, and the projected increase in the frequency and intensity of extreme weather events, the experience of New Orleans in the wake of Hurricane Katrina could be an indicator of a new normal for the world’s coastal cities. Though New Orleans is a relatively small city, in terms of population, the Katrina disaster provides a glimpse into what we may be facing on a global scale when a changing climate meets the increasingly uncontrolled spaces of the world’s growing coastal cities – particularly, existing and future megacities. The growth of megacities in areas of the world that are especially vulnerable to climate change, specifically sea level rise, is cause for serious concern. Namely, there are significant unknowns associated with the interaction of climatic and environmental threats with the stability of urban environments, as well as the broader security consequences of the destabilization of such megacities. The question that must be asked and answered, sooner rather than later, is: Do security risk mitigation professionals truly understand the security implications of climate change and rising sea-levels on coastal megacities? As of yet, we do not have a sufficient answer to that question. Nonetheless, there are indicators of an evolving approach to these issues from our institutions of national security. For example, on July 29th the Department of Defense (DoD) released a report titled, “National Security Implications of Climate-Related Risks and a Changing Climate.” It is a DoD response to a congressional request for information on how the Geographic Combatant Commands (GCCs) – who are the frontlines of U.S. military operations – are mitigating risk in a changing climate. In it, the DoD identifies notes that the “Combatant Commands [GCCs] are integrating climate-related impacts into their planning cycles.” This should not be surprising. Risk mitigation is what DoD and everyone working inside the U.S. national security infrastructure does on a daily basis. They are paid to be the “half empty” people in the room. They assume fact-based worst-case scenarios, as low probability events happen all the time, and they plan against those scenarios. That said, preparation for worst-case scenarios, including the potentially destabilizing impacts of climate change on coastal megacities, could use some attention. For example, in a future of accelerating climate change and growing coastal urban environments, the GCCs may find themselves executing significant and deeply complex humanitarian operations in flooded megacities, such as Lagos, Nigeria, a city with nearly 30 million inhabitants and a history of political instability. But how the GCCs are preparing for, and assisting in preventing, these kinds of eventualities, remains unclear. In short, climate change, sea-level rise and an increase in the frequency and intensity of extreme weather events are likely to exacerbate megacity vulnerabilities, and we need to better understand how that will affect local, national, regional and international security, in order to design better policy responses. Over the course of the next year, I will contribute a series of articles to the Center for Climate and Security on this set of issues. The series will aim to illuminate a significant threat that strategic planning and policy professionals have only recently begun to consider. Gary Sargent is a retired Special Forces Lieutenant Colonel with combat and operational experience throughout Europe, the Levant, East Africa, Southwest Asia, and the Caribbean. He currently works as a consultant on operational trends in the security and humanitarian fields. He can be found on twitter @treadstonelite or via email at sargent@ts-lite.com. By Caitlin Werrell and Francesco Femia in climate and security on August 28, 2015 . Thank you for reminding us that we have indeed entered an extended period of a “new abnormal.” Climate change has obviously arrived, and there’s nothing we can do to stop what’s already in the pipeline. We must prepare for the worst. But we also must do everything possible to avert the worst-case scenarios that still can be avoided if we urgently back away from the precipice of extreme climate change. That means aggressively addressing our addiction to fossil fuels, whose artificially cheap prices guarantee ongoing combustion, rising temperatures and even greater disasters. 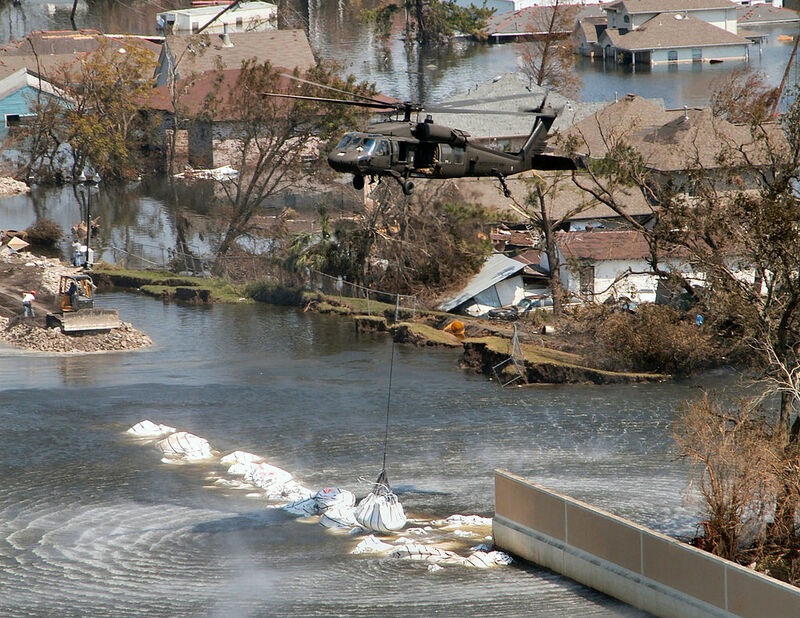 I believe it’s time for retired military leaders to step out of their comfort zones and their areas of personal expertise — like some climate scientists have — and embrace policies that address the root cause of this unfolding disaster: externalized costs. The market failure allowing externalized costs must be corrected or we’re fighting the carbon war with our hands tied behind our backs. A carbon tax with revenues returned directly to citizens, along with border carbon tariffs, can be an effective, efficient, nonpartisan, market-based tool that rapidly reduces emissions. Please educate yourselves and advocate for reasonable pricing of carbon emissions and let Congress know you’ll have their backs when and if they act.